At 14, she took up the guitar, just wanting to play the music. She was 15 when she went to her first concert, which was to see The Stray Cats - She just loved the energy of it all. Fast forward a couple of years later, when she was 17, she went to a Rock & Roll dance to see a live band and that's where she met Howie, they've been together ever since! With Howie being in bands, Chris would always be there and would get up and sing the odd song or two. This is where she developed her love for singing. 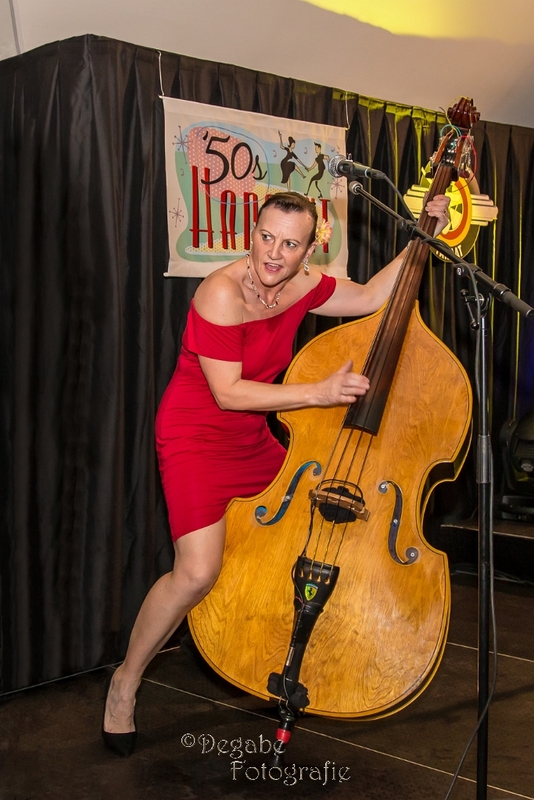 Before she started playing the double bass with "The Class of '58", she would get up as a featured singer and also provide backing vocals when required. One of her fondest memories was "standing in" at rehearsals for RCA Victor Recording artist Janis Martin, who was doing an upcoming European Tour. Janis really appreciated this and invited Chris on stage to sing with her at one of the shows, which she absolutely loved. 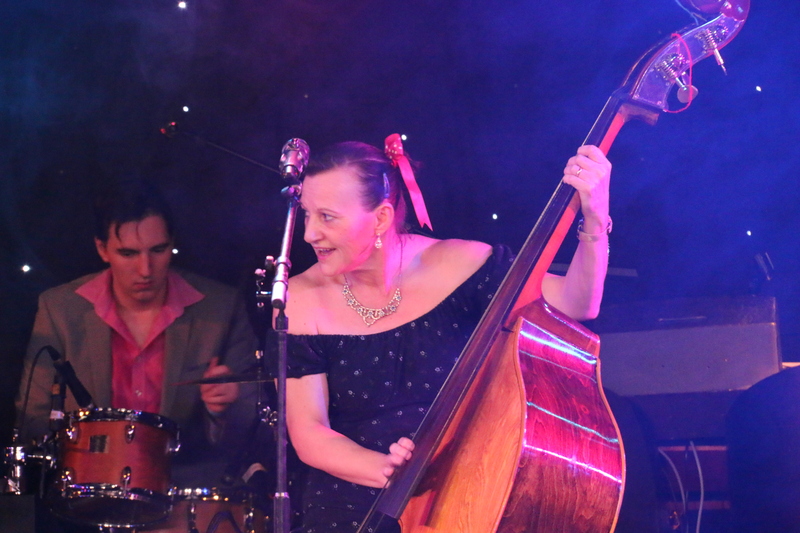 In 1990 Chris became the permanent double bass player, as the original double bass player left. Howie and Chris had moved back up the Valleys and it was a simple case of not knowing anybody who could play the double bass. In three months she had to get to grips with the instrument and learn three sets, as there was already a European Tour with visiting American's booked - Baptism by fire! 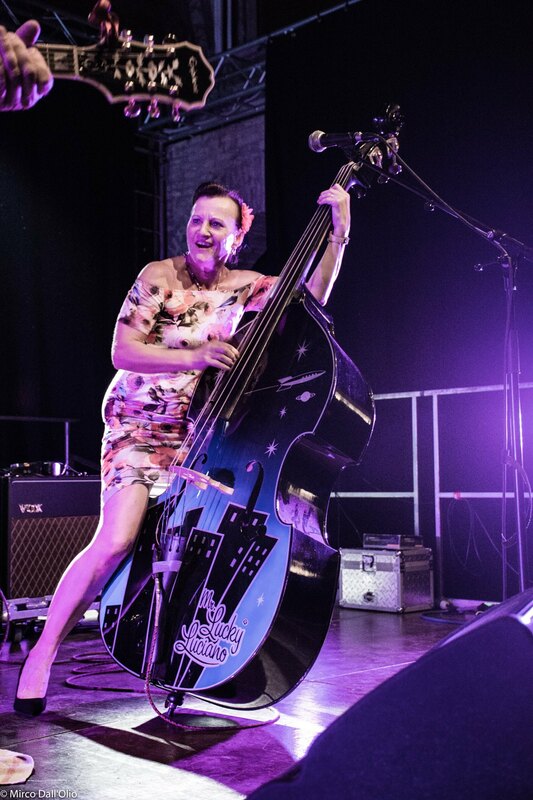 Chris has said that taking up the double bass was the best decision she ever made as, in hindsight, the band wouldn't have turned out as it has. It's all just been luck, that everything has fallen into place. She has many memories of some of the early tours, with one particularly special one being playing the bass with Elvis' drummer DJ Fontana playing the drums behind her - just awesome. Also, during the "down time" when they'd all chill and have a laugh and a beer with some of the early pioneers of Rock & Roll and listen to their stories. Her one stand out memory though is, after completing a show with Jack Scott, Johnny Preston and Frankie Ford at the iconic Liverpool Empire Theatre and everyone going their separate ways, a while later pulling into a petrol station in the middle of nowhere and who should pull in at the same time? None other than Frankie Ford. "We all started whooping it up and Frankie grabbed me and started waltzing around the garage forecourt - Great fun at 4am!". It may not seem that funny but, as they say, you just had to be there. Especially with the lorry drivers wondering what planet they were on! Chris has said many times that she's grown up with "The Class of '58", from being a young girl to where she is now. Married the guitarist, brought up two children in a Rock & Roll band, still plays rugby at 52; it's all regular stuff really - And that's why Howie says she's his hero!